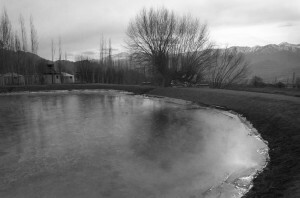 A “Zing” or a reservoir in Phey village near Leh. It collects the water from the artificial glacier as they melt at the onset of summer and flow down. This water is used for agriculture.